The Rocky Mountain Land Library is a 501c3 nonprofit located in Denver, Colorado. At present, the Land Library’s physical locations are in the developmental stages and can be accessed through our scheduled programs and events. We do not currently have regular hours, but anticipate expanded opportunities to visit with the Cook’s House restoration occurring in summer of 2018! The Rocky Mountain Land Library’s mission is to help connect people to nature and the land. The need for places of quiet thought, creative pursuits, and active community involvement will only grow as our population increases. The residential library we will establish will give everyone access not only to the books, but also to the surrounding lands — a learning landscape for generations to come. Our 35,000+ book natural history collection has been gathered and curated by co-founders Jeff Lee and Ann Marie Martin throughout their careers at Denver’s iconic Tattered Cover Bookstore. The collection is global in scope and crosses all genres and subjects that explore the relationship between humans and nature. The Land Library’s ultimate vision is to open Buffalo Peaks Ranch as a year-round, residential retreat center and library, while hosting additional programs and outreach through our Metro Denver locations. This rural to urban continuum will allow people of all backgrounds to gain a greater awareness of the land while connecting with one another. We describe this combination of locations as our Headwaters to Plains Network. We are a nonpartisan, non-advocacy based organization dedicated to engaging diverse voices and perspectives, within our collection, programs, and organization. Our diversity, equity, and inclusion committee develops outreach programs to engage our community and help overcome barriers to accessing our more distant resources and programs. Since 2013, the Land Library has invested over $100,000 in the initial stabilization and exterior restoration of the three residential structures at Buffalo Peak Ranch, our historic homestead and former sheep and cattle operation located at 9,200 ft just outside Fairplay, Colorado. Each summer we have hosted a growing schedule of workshops and volunteer days at the ranch, reaching out to new partners and making new friends and connections as we work to bring our full vision to life. At present, the ranch’s residential structures are in need of final interior restoration before library operations and lodging can begin. In the spring of 2017, 1,000+ backers from around the world helped to successfully fund our Kickstarter campaign to complete the first major interior restoration at Buffalo Peaks Ranch with the Cook’s House restoration. We are currently working with Park County on updating the ranch’s zoning to allow construction to begin, and anticipate completing restoration of the Cook’s House in the summer of 2018, allowing us to host our first overnight guests and dramatically expand our programs and operations soon thereafter. 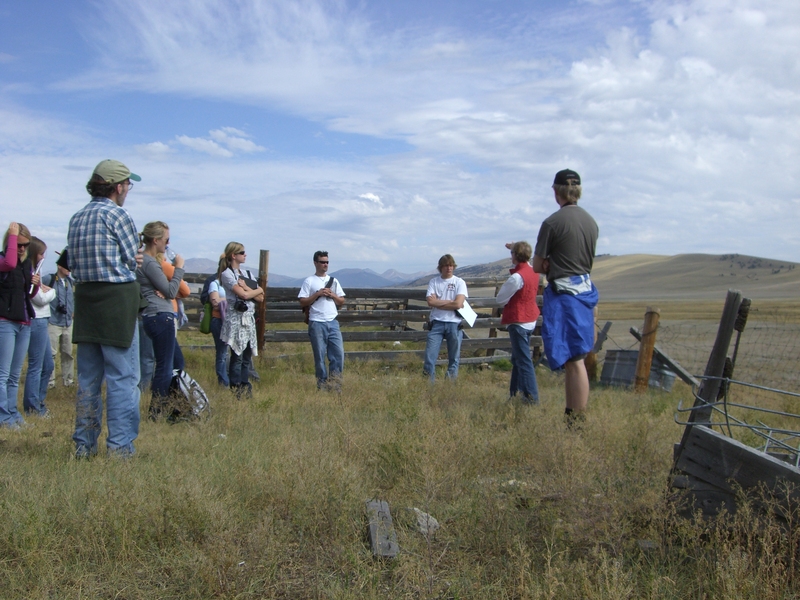 The Rocky Mountain Land Library hosts a full-schedule of workshops and volunteer days throughout each summer season. At present, public access to the Land Library collection and locations is limited to participants in these scheduled programs and volunteer workdays. While we do not currently have regular open hours, our hope is to increase open-house and volunteer days in 2018 to allow more unstructured visits and to begin circulating books from our collection before our full operations begin. With the completion of the Cook’s House restoration anticipated in the summer of 2018, we will begin acting as a residential library and hosting overnight guests and day-visitors soon thereafter. The first overnight stays will be experienced by our Kickstarter backers and Founding Members before opening to the public! Join our email list to receive program schedules, volunteer day invitations, and special event notifications. Join our Facebook community for the most up-to-date information, regular book-focused blog updates, and partner happenings. Become a Member! (coming soon) Joining the Land Library as a member is the best way to show your ongoing support and to help the Land Library grow our capacity to hire the dedicated staff needed to fully open our locations and share the collection. Q: Can I donate a special book, or an entire collection, to the Land Library? A: Unfortunately, our storage capacity is at its limit and we are unable to accept additional materials for the time being. 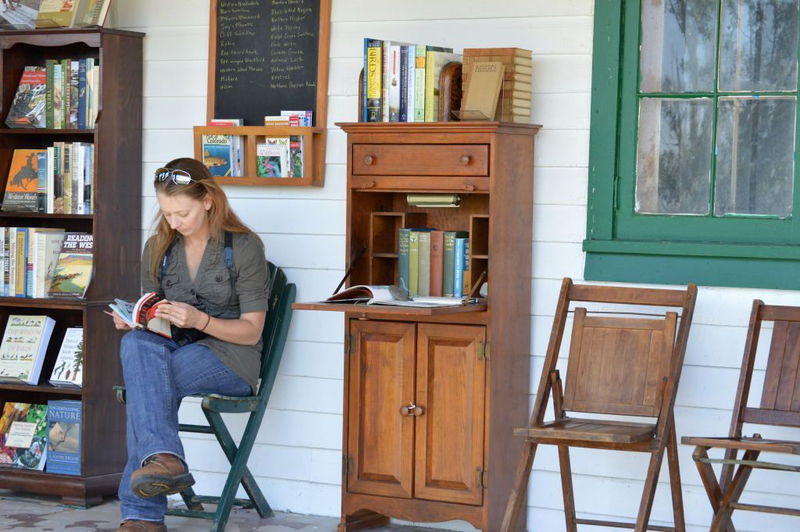 As restoration of the the ranch progresses, and our urban locations take form, we will have greater capacity to receive and steward book donations, hopefully as soon as 2018. Q: When can I visit the Land Library? A: We anticipate that our 2018 schedule of summer events will be released by May of 2018. We do not currently have regular open hours, but our hope is to increase open-house and volunteer days in 2018 to allow more unstructured visits to the ranch, the Waterton Canyon collection, and the Puritan Pie Factory in Denver, until our full operations commence. Q: Can I camp at the ranch? A: Throughout the summer season, we typically have a variety of camping opportunities on specific dates or in conjunction with workshops. While we do not currently have ongoing camping availability, we absolutely envision bring-your-own-tent, rent-a-yurt or rent-a-platform-tent camping options as part of our future operations when the Cook’s House opens, and possibly before. Check back in spring of 2018 for updates! The Land Library is supported by a passionate team of dedicated volunteers and board members. University of Colorado’s School of Architecture graduate students beginning their design work at Buffalo Peaks Ranch. BRAVO! Your project is like a dream come true. After roaming the country for a year after he left the midwest in the 1980s my dad settled in Denver. He’s passed away now but he left a legacy of love for the state of Colorado and the West to his two daughters and his five grandchildren. All three of my kids went to the University of Colorado in Boulder. My husband and I will likely retire in Colorado. I hope one day to be able to work and play at your fantastic library and ranch. BTW I read about you in today’s front page article of the New York Times. Thanks Ines — so great to hear about your ties to Colorado — and thanks for your support! What an amazing place. You guys are creating something truly special and I hope to visit someday. Alina — with all of this week’s support I think the Land Library & Buffalo Peaks Ranch has just gotten better than we ever imagined — thanks to you all! Hi, do you have college student volunteer or internship program. Chloe — nothing formal at this time, but we’ll have a summer ranch event/tour/workday schedule soon. We’ll let you know by email! Hello friends and fellow booksellers! We LOVE this idea! It’s such a beautiful vision. We’re going to post on our social media, hoping to help spread the word. Meanwhile, if we can support this project in a tangible way I’d love to think about that. I want to visit! Sending you congratulations on the great work so far, and lots of support and admiration from all of us here at City Lights Books in San Francisco. Elaine — what a thrill to hear from one of the truly great bookstores in the world! Please forgive the slow reply — the NY Times wave was a mighty one — thanks to generous folks like you that shared the good news. We would LOVE to get fellow booksellers to the ranch — I hope we can stay in touch Elaine — with you and everyone at City Lights! I’m so glad to hear your Land Library is doing so well in such beautiful country. Thanks old friend — I hope you can visit Mark — especially when we get books on the shelves! This is one of the most endearing, amazing passion projects I have ever seen. Thank you for what you are doing! As an author-in-the-making, focused on the transformative power of nature, and a long time Colorado resident…it is as if you captured my heart and made it tangible. Until I can help financially (and beyond then), please let me know what I can do to help. Erin — we’ve been slow to reply only because the NY Times article sparked such interest & support from across the country. Authors-in-the-Making are a big part of why we so want the Land Library to succeed — let’s keep in touch! (if you get this reply, could you email us at jeff@landlibrary.org ?? Not sure if I’m seeing your address right, and we’d love to get you on our update list! Thanks Ann! One of the GREAT things about the NY Times article-reaction is the reassuring fact that there are a lot of people (like you) who share that vision! I hope we can stay connected! So great of you — thanks for spreading the word! Can we make a donation of books? Thanks for even thinking of that. Right now our temporary storage site is full to the brim. We’re hoping that changes soon — so let’s keep in touch! What a wonderful project and in a beautiful place. You have terrific plans for all kinds of programs. Have you considered basket making as another? I have a small collection of books on basket making and basket history that I would love to donate. This dream of yours is a dream come true for me. I’m trying to write a novel based on my family’s history herding sheep in western Colorado. I am thrilled to know this resource will be available in the future and I want to get involved! How can I help? Thanks Glenna — we’ll email you in a few minutes with more! I, too, have a group of books mostly on Bent’s Fort, the Santa Fe trail, and the Pueblo Indians mostly published in the 1940’s. I would love them to go somewhere where people would be interested in them. Please let me know when you are accepting books on these subjects and how we can donate. Thank you Jeffrey — an email is coming your way! I was thrilled to read the NY Times article and learn about this project. I’m an avid reader, and just this year I traveled to Red Cloud, NE for the Willa Cather annual conference. It was so nice to be amidst other book lovers and to gain a deeper understanding of the connection between an author and the land that inspired her. I have visited Tattered Cover, and can’t wait to visit the ranch someday. I’m inspired by what you are doing, and wish you continued success! How can I get on your e-mail list to stay in the loop? I was interested in helping with the Denver urban children’s land library. Could you tell me more about your plans? Could I email you more directly? Thanks Sarah — we’ll email you in a minute! please keep me in mind for upcoming volunteer projects of any sort. I have just read the Monitor article and I must write to say that I hope your project has legs. I am a fan of Ivan Doig and Kent Haruf – and now Rinker Buck’s relatively new THE OREGON TRAIL – so this venture is a brand new target on my list. Please add me to your email list because I would love to visit when you can host people close by. I haven’t found your address yet but a donation will be on the way. THANKS Bill — an email reply is on it’s way to you! Please add me to your email list! Wonderful project! Thanks so much Rags — you’re in the loop! Rocky Mountain Land Library looks fabulous. I will contribute when I can, but would love to contribute to the project. I’m a photographer from Texas that has worked in themes related to your mission. How can I find out more? Great to be in touch John — we’ll respond in a minute by email! Love your concept. Plan to be in the vicinity of Buffalo Peaks Ranch late June 2017 on a cross-country trip. Is there reason for visitors to stop in? Are we welcome? Thanks Martin — I’ll email you in in the next few minutes — all good! Definitely Jeannene — thanks so much for reaching out! What a wonderful idea. I am sorry to find out about you only today! Thanks Tanja — you’re right on time — we’re still at the beginning! Thanks so much friend — we would LOVE to get you to the ranch next spring or summer!